Contact Sean Baker, Archives Technician at 570.321.4333 or email bakers@lycoming.edu with any questions. The College Archives maintains a collection of documents and photographs preserving the history of the College, as well as artifacts and unique items such as student and group scrapbooks, a collection of college postcards, departmental honors papers, and historical methods papers. 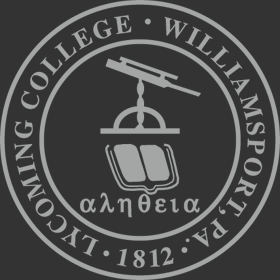 These archival materials follow the history of the school from its earliest incarnation as the Williamsport Academy (1812-1848), through its years as Williamsport Dickinson Seminary (1848-1928), and Williamsport Dickinson Seminary and Junior College (1928-1947) to Lycoming College (1948-present). A small collection containing primarily reproductions with a few original documents of correspondence, deeds, tax records and articles relating to the school. The collection consists of original documents arranged within the following subject areas: academics, accreditation, admissions, alumni, athletics, the Board of Trustees, the Charter, Rev. Benjamin Crever, curriculum, events, facilities, finances, Greek organizations, publications, and student life. 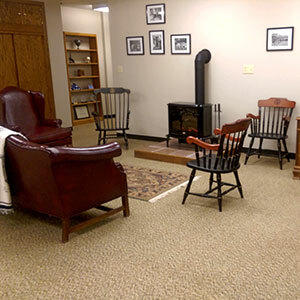 The collection consists of many original documents arranged within the following subject areas: academics, accreditation, admissions, alumni, athletics, the Board of Trustees, curriculum, enrollment, events, facilities, finances, Greek organizations, organizational structure, Preacher's Aid Society, publications, and student life. The collection consists of original documents arranged by the originating office, department, or program.